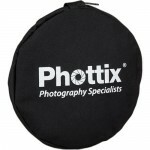 The new Phottix Full-Frame Reflector Kit – a rugged and collapsible reflector perfect for on-location work. 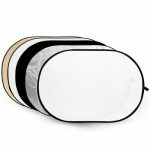 The Full-Frame Reflector is a 1.5m aluminum-framed reflector with easy-to-remove panels. 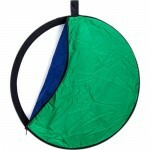 The aluminum frame folds down for easy storage and transport in the included bag. 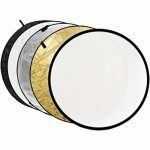 Included are a white diffuser and white/silver panel. 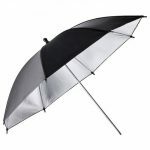 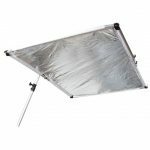 Diffuse harsh midday sun or use it like a giant softbox by using it to diffuse a flash or studio light. 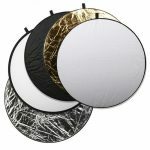 The white/silver panel can be used to reflect hard or soft light, depending on you needs. 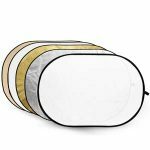 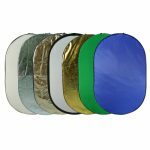 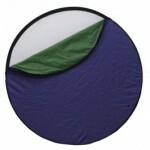 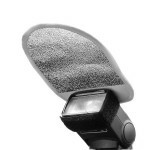 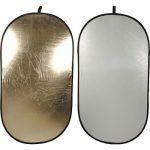 The 7-in-1 Light Mulit Collapsible Reflectors are a great addition to studio or on location work. 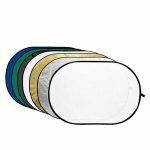 The reflectors have 7 changeable colors: White, Black, Silver, Translucent, Golver, Green and Blue.